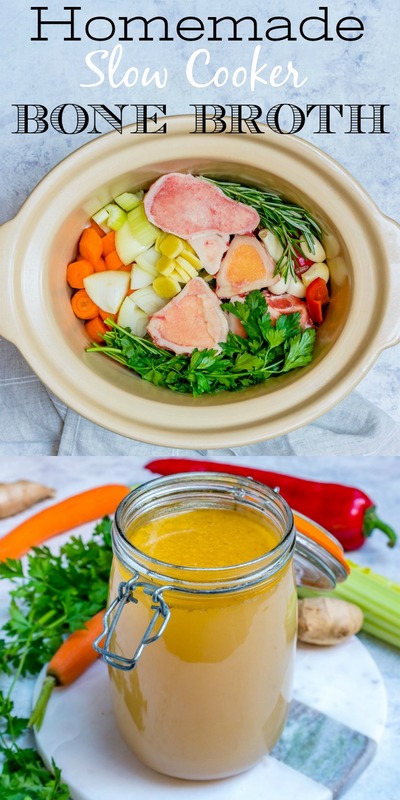 To make bone broth, you just need a crock pot! No need to purchase expensive store bought broth! Making your own is SIMPLE! 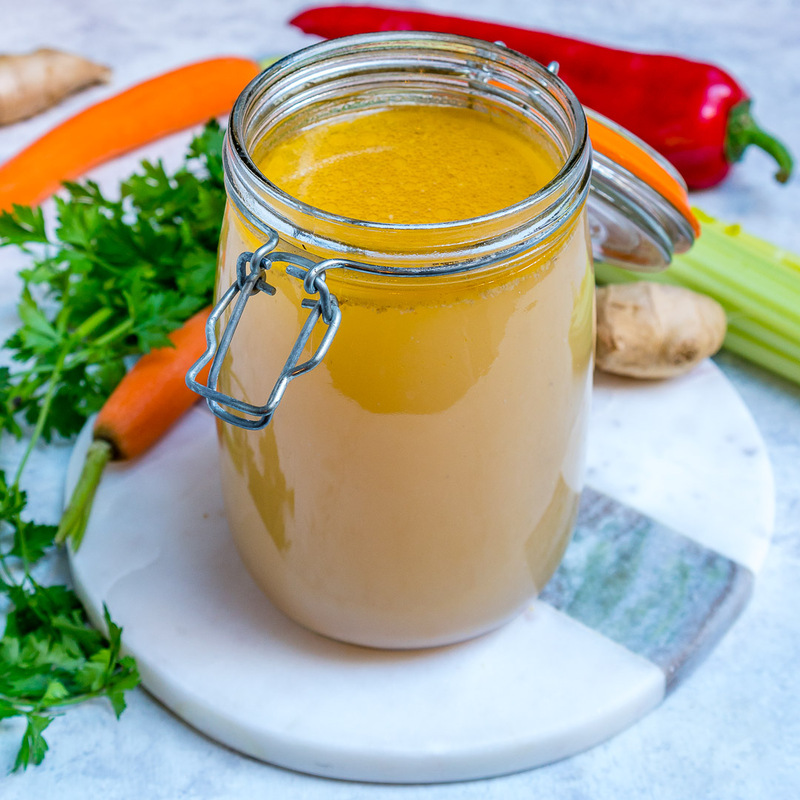 💡Homemade Bone Broth has numerous benefits, but most people notice an immediate affect on bloat, and digestion Bone broth is widely known for its ability to lower inflammation levels which can support weight loss. 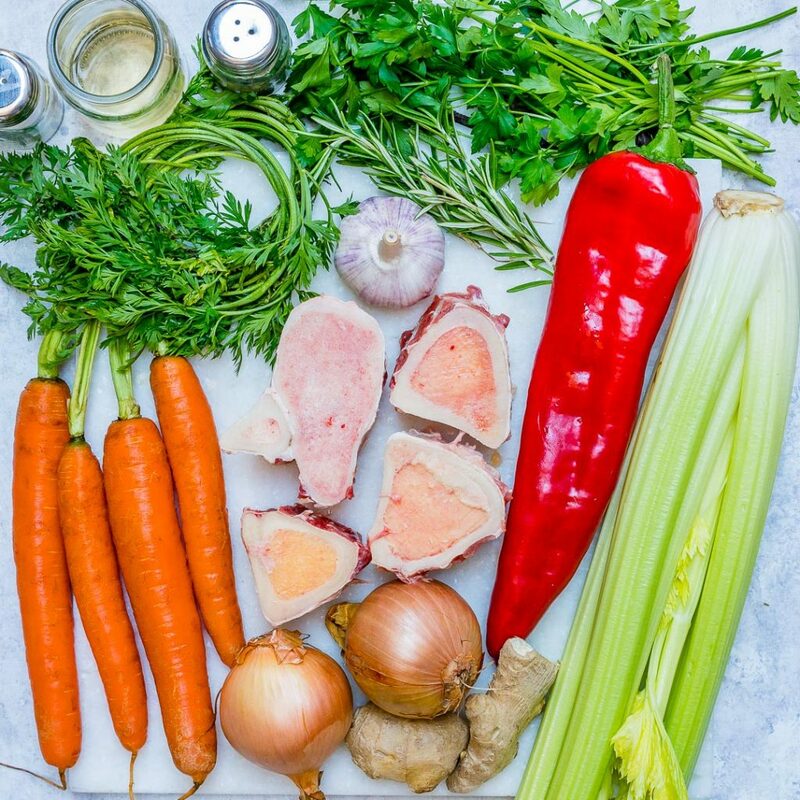 Bone broth is packed full of collagen, proline, glycine, glutamine, and many minerals which have the power to transform your health. Bone broth tastes similar to chicken soup.I have a cup in the late morning, like tea, then again after dinner each night and love it! Make yourself some broth and enjoy the never-ending benefits! Your body will thank you! 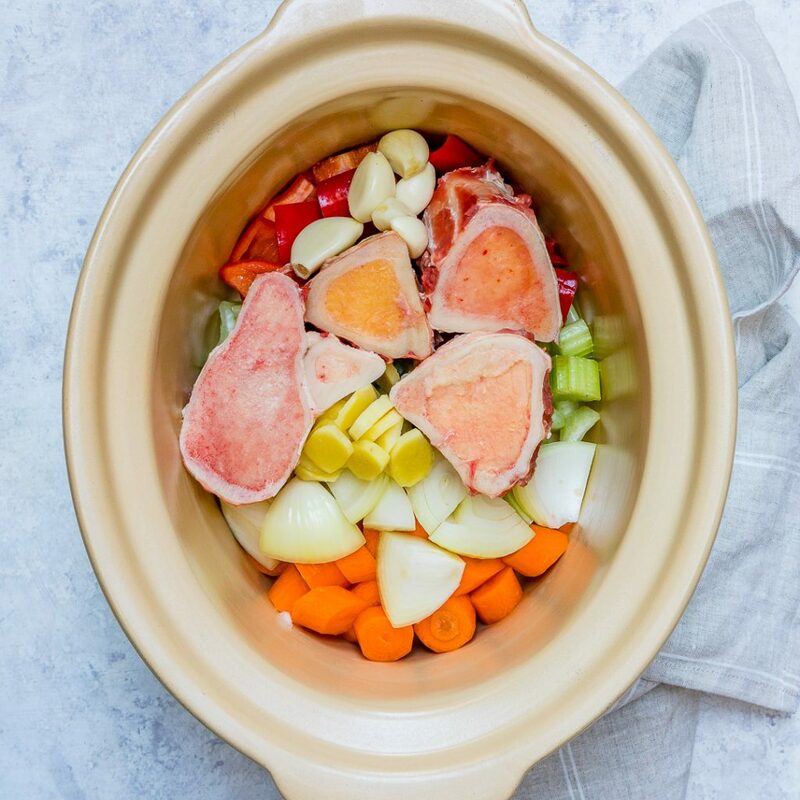 Place all the chopped veggies in the crock pot, and add in the herbs, bones, and ACV. This should almost fill the slow cooker to the top. Add filtered water and fill the cooker, leaving about an inch of space from the top. Cover and cook for 24-36 hours on LOW and then let it cool for a few hours once it’s done. 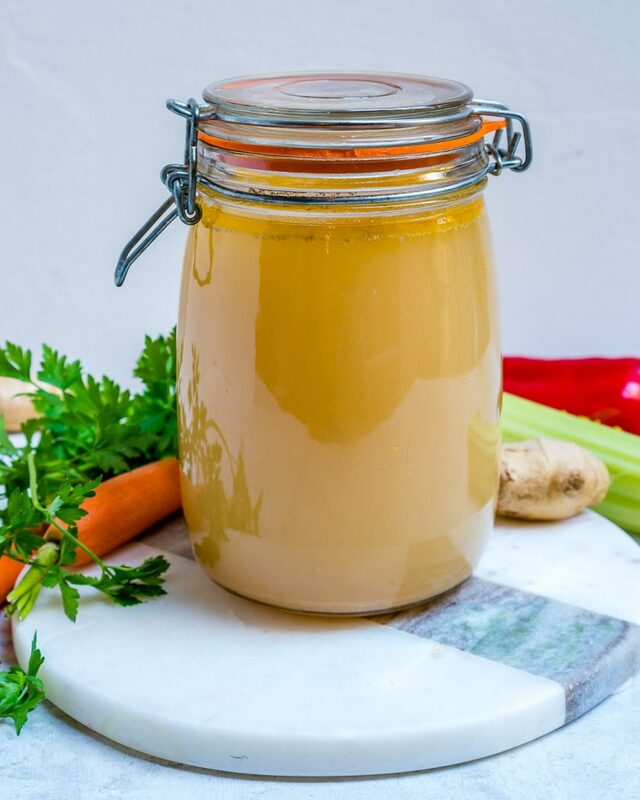 Skim the fat off the top and strain broth, then place the bone broth into large mason jars, fit the lid on and and store in fridge for up to 5 days. This should become gelatinous once cool. Cover and cook for 24-36 hours on LOW and then let it cool for a few hours once it's done.